One of the best parts about being a blogger is finding out what great titles are coming up from your favourite publishers. 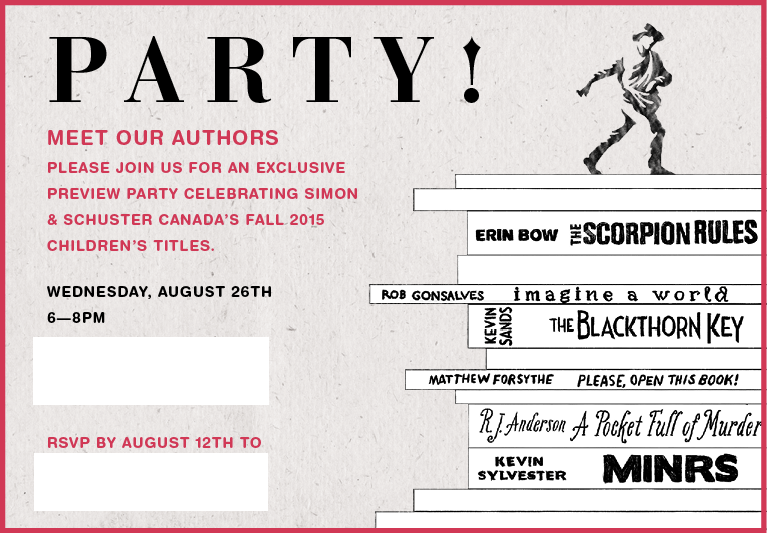 So when Simon and Schuster Canada invited me to a Preview Party for their Fall 2015 children’s / middle grade / young adult titles, I jumped at the opportunity. 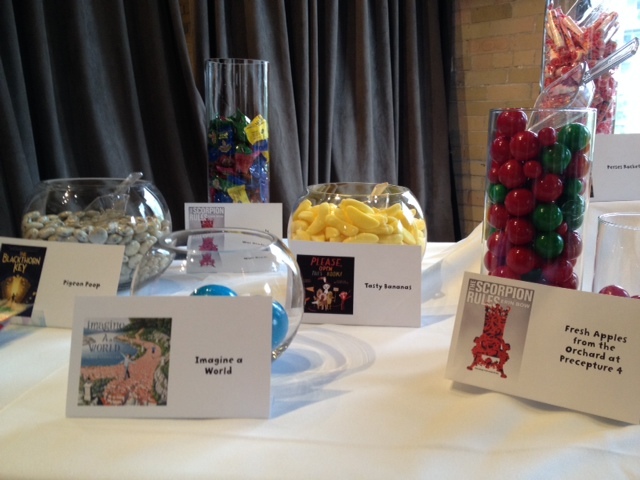 As befits a children’s book party, Simon and Schuster Canada treated the little kid in all of the attendees by providing a table full of candies inspired by the various books in their catalogue. My favourite was the “pigeon poop” Oreo-chocolate-candies inspired by Kevin Sands’ The Blackthorn Key. They also had a selection of pop and a snow cone station. We got to hear about the various titles in their Fall 2015 catalogue. 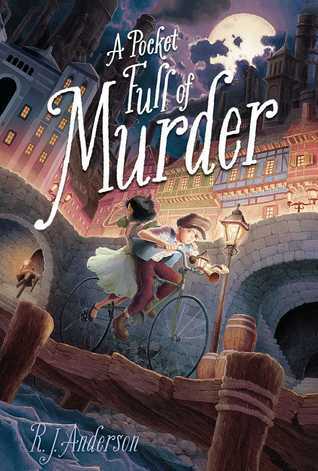 I was particularly intrigued by R.J. Anderson’s A Pocketful of Murder, mostly because I’ve always been a sucker for magic and mysteries, but also because of the book’s beautiful, whimsical cover. art. Another highlight is the new Kevin Sylvester book MINRS, about a twelve year old boy and his friends fighting for survival in a mining tunnel when their space colony is attacked. Sci fi, action and adventure are all my cup of tea, so I was glad to have been able to pick up a copy at the event. I was also able to get a copy of Kevin Sands’ The Blackthorn Key, about an apothecary’s apprentice who has to deal with a cult killing the apothecaries in his city. I’ve just finished this book and it’s fantastic. Sands sprinkles his novel with codes and puzzles that his teenage protagonist Christopher must solve to get to the bottom of the mystery, and the answers are simple enough that we can somewhat solve right alongside Christopher, yet require just enough arcane knowledge (e.g. Latin, apothecary symbols) that we wouldn’t be able to solve it ourselves. Also introduced at the preview is Erin Bow’s The Scorpion Rules, about a world where the children of royalty are held hostage to the various countries’ treaty of peace. 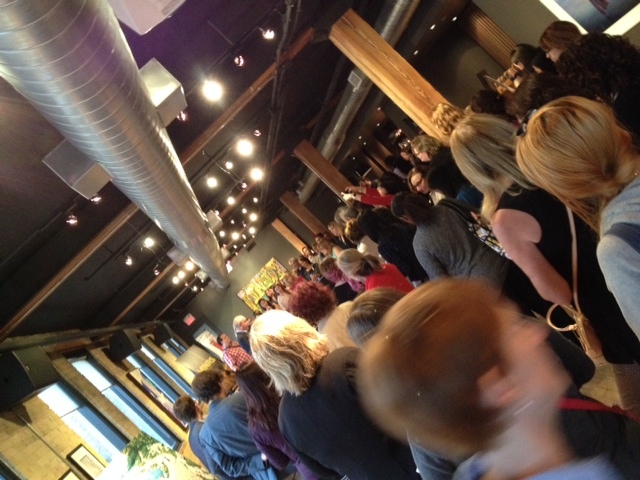 I was able to read an advance reading copy from the Ontario Book Blogger Meet-Up, and I absolutely loved the book. The ending complicated my enjoyment of it somewhat, but I think it’s ultimately a testament to the author’s talent that she has crafted such a dark and complex world where there are no easy answers. The most mature of all the titles in this preview, and certainly one that I think will give university students and adults in general so much to chew on. My full review on Goodreads here. Finally, the publisher also presented two children’s books. 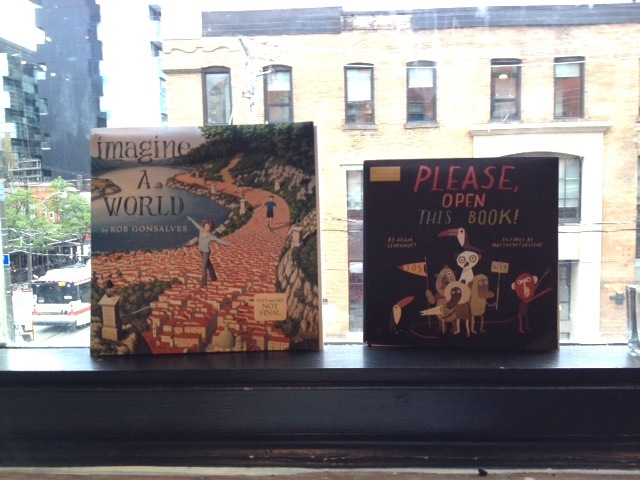 Rob Gonsalves’ Imagine a World is just beautifully illustrated, and Adam Lerhaupt’s Please, Open this Book! is a highly imaginative take on what happens to characters in a book after you close the covers. Fair warning: you may not dare close another book again. This entry was posted in Non-Book Review Posts and tagged Middle Grade, Simon and Schuster, YA by Jaclyn. Bookmark the permalink.